Limited availability !!! To guarantee your spot book in advance!!! A highlight Vatican City and Sistine Chapel Guided Tour through the Vatican City’s famous museums, containing one of the largest and most spectacular art display in the World, including the ancient Roman and Greek statuary collection of the Renaissance popes, Belvedere courtyard, Muse’s rooms, Circular room with Hercules, Greek cross room with Constantine’s sarcophagus, the Gallery of Maps overlooking the Vatican Gardens, Rafael’s rooms and finally Michelangelo’s breathtaking Last Judgement in the Sistine Chapel. 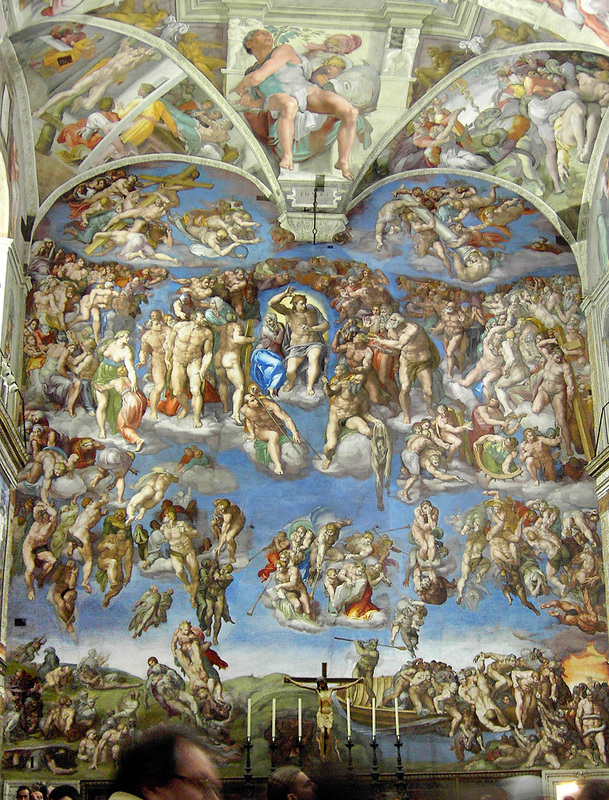 During the Vatican City and Sistine Chapel Guided Tour you will journey through the history and the secret enveloping the Catholic Church and hear the stories of rivalries of the Renaissance artists. Continuing the Vatican City and Sistine Chapel Guided Tour on through the Basilica of St. Peter you’ll marvel at the masterpieces of the Baroque genius Bernini (his Canopy is the largest bronze object in the world) and at the awe-inspiring Pietà . As you walk below the Basilica, through dimly-lit tunnels towards,our guides will indicate you the Vatican Grottoes the resting place of many popes, and you will also,individually have the chance to stop by the tomb of Pope John Paul II. 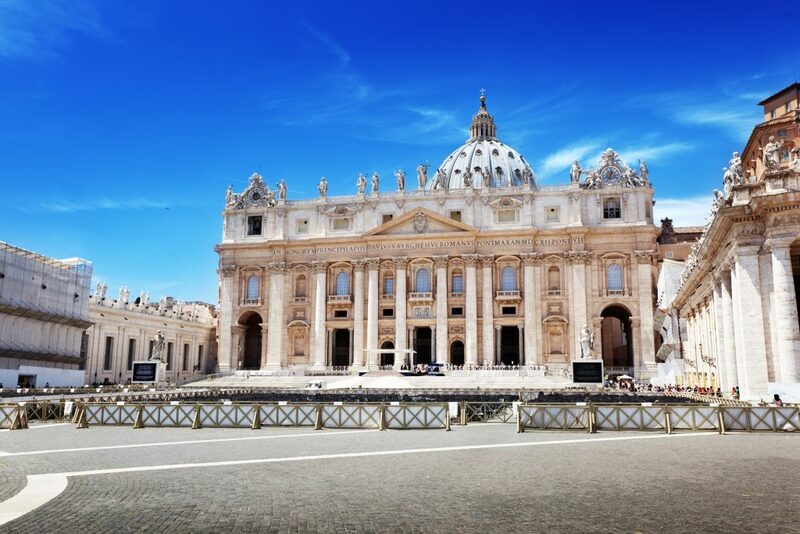 The Vatican City and Sistine Chapel Guided Tour starting at the suggested time of 1.30 p.m. with privileged entrance, it will cover the Museums, the Sistine Chapel and the St. Peter’s Basilica. Due to the Papal Audience taking place on this day on St Peter’s Square, the Basilica is closed up to 1.00 p.m.
Only on the last Sunday of every month the Vatican Museums are exceptionally open and full 3 hours tour can be done at the agreed time and meeting place but not later than 11.00 a.m. (Privileged entrance is not available on this day). Your tour guide will be delighted to pass-on good suggestions on restaurants, wine-bars and other useful tips. 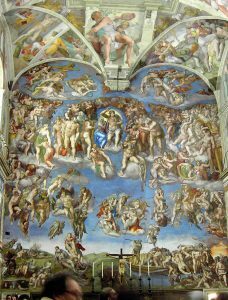 We are able to offer guided Vatican City and Sistine Chapel Guided Tour in a wide range of languages, should you wish to book a tour in a specific language (apart from English and Italian) please follow the relevant link below. The meeting point will be communicated via e-mail with our confirmation. € 30,00 per person for people who already have tickets to enter the museum!